After a summer of intense training, the Blue Devils Football entered the 2017 football season with a lot to prove, and prove the Blue Devils did. After a shut-out game against Simpson to open the season, the Blue Devils beat out the fourth ranked team in the nation, St. Thomas. The star of both games? New freshman running back star, Larshawn Mynch. The 31-year-old has already scored four touchdowns this season in the first two games, with his eyes set on breaking Stout football records during his run with the Blue Devils for the next few years. Stoutonia was lucky enough to sit down with Mynch for a short interview. When asked about his mindset for the season, Mynch told us, “I know I’m going to get got. But I’m going to get mine more than I get got, though.” This inspiring quote is the mindset the team has as they continue the season and make it one for the record books. 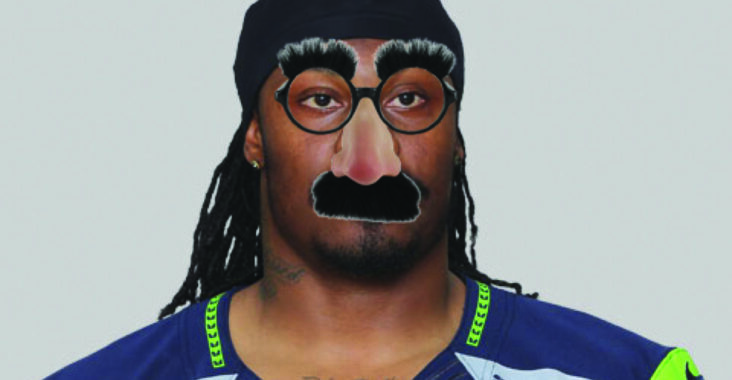 “I’m just here so I won’t get fined,” Mynch said as he finished the interview.